Exciting news for all of Desmond’s loyal followers, Assassins Creed 4 will be coming sometime this year, in accordance with the next generation of consoles, which will be released around that time. 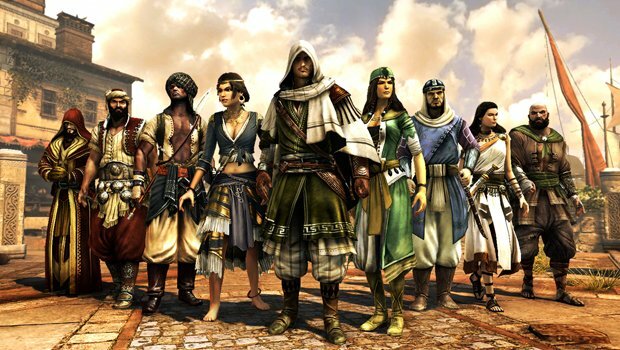 Ubisoft CEO Yves Guillemot told investors that his company will be making another series of the game with a new protagonist and setting, as all the other games (apart from Revelations and Brotherhood) have had. We expect Ubisoft to release the game at the E3 conference, where they have always enjoyed releasing first footage of the game. This will set the game up for an October/November release, although they may go a little earlier than that. It may be taken back to 2014 though, if delays happen. Assassins Creed 3 left us in a bit of a corner, with Desmond’s final act basically ending the world as we know it. The new character will probably move forward in time, maybe to 1800 or 1900. All we can wonder is what type of people are the Templars this time, with Connor Kenway, the British held allegiance with the Templars while the Assassins wanted freedom, which came from George Washington. And where will the game be set, where is the next fruitful place where the Templars have their eyes on. Assassins Creed 4 has a lot of questions to answer, and we suspect Ubisoft to answer them and lead us on to the next series in the chapter. Assassins Creed 3 has currently sold 12 million units, a good sum. In our minds, kicking Connor Kenway out was for the best, as many said the main protagonist was a little too bitter and his views were strange and didn’t work out. Unlike Altair and Enzo, Kenway lacked real emotion and excitement. We hope we get this thrill back, possibly a nice British accent or an odd, over the top eccentric character like Enzo would pump life back into the protagonist. We will keep you update with all Assassins Creed 4 news.